At The Law Office of Laura M. Krehbiel PLC, we help the people of Donnellson, Iowa, and surrounding communities with all their estate planning legal needs. We recognize that these are emotional and difficult decisions that families must make, and we take a compassionate, efficient approach that guides you toward a result you can feel good about. Our law office offers a variety of legal services to those in Lee, Des Moines, Van Buren, Davis, Wapello, Jefferson and Henry counties, along with all Southeast Iowa. Wills, trusts, real estate, and probate and estate administration are all areas in which we offer legal representation. Our attorney has over 25 years of experience creating strategic solutions to complex legal problems, and is knowledgeable in conflict resolution techniques to help simplify most legal problems you may face. She is also experienced in handling juvenile law matters on behalf of children and on behalf of parents. 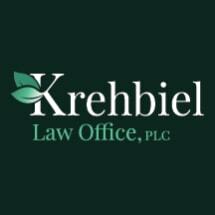 The Law Office of Laura M. Krehbiel PLC is equipped with qualified and experienced staff members who stand ready to assist you with the details of the legal problem you are facing. Our attentive staff understands that dealing with various legal matters can be overwhelming, whether the legal matter involves a family argument, a tragic death or loss, or even buying or selling your first home; it is our goal to answer your questions and handle the specifics for you, in order to relieve your anxiety and free up your time so you can focus on what is important to your family. No matter if you are contemplating a real estate transaction, preparing a last will and testament, creating a trust, planning for long-term care or disability, or transferring powers of attorney, our highly skilled team will work with you to create a functional plan to deal with these issues in a timely manner. We look forward to visiting with you in person or by telephone sometime soon, and hope that you will choose to entrust us with your legal needs.